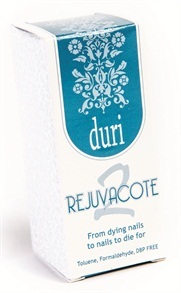 Rejuvacote 2 is Duri Cosmetics’ new three-free nail care treatment for sensitive nails. Infused with keratin and calcium, it mends, strengthens, and grows weak, split, cracked, damaged, and acrylic-ravaged nails. The product was developed for users who experience skin irritations from even some naturally derived ingredients. According to the company, clients will see results in a matter of weeks.